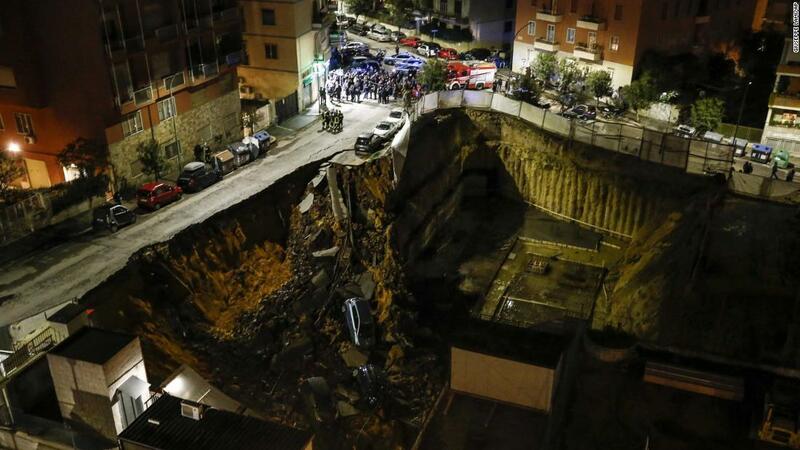 A view of a large sinkhole that opened in a street of a residential area in Rome on Wednesday. 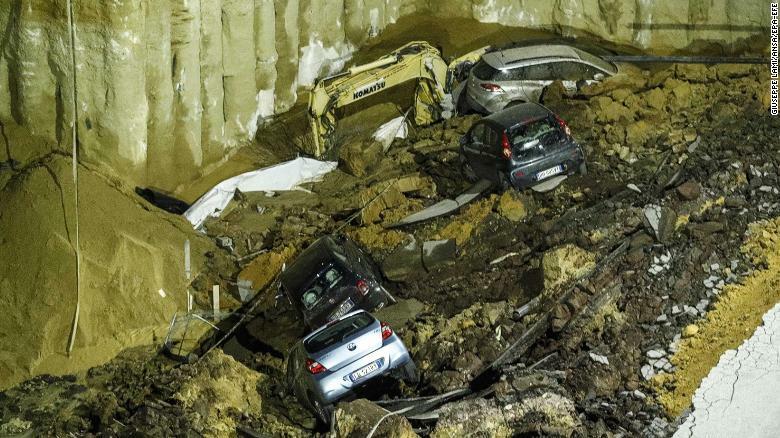 (CNN) A massive sinkhole swallowed several cars in a Rome neighborhood, forcing the evacuation of surrounding buildings and raising pressing questions over safety protocols in the Italian capital. The incident took place on Wednesday in via Livio Andronico, in Rome’s Balduina district, just before 6 p.m. local time, according to Italian firefighters who were called to the scene. 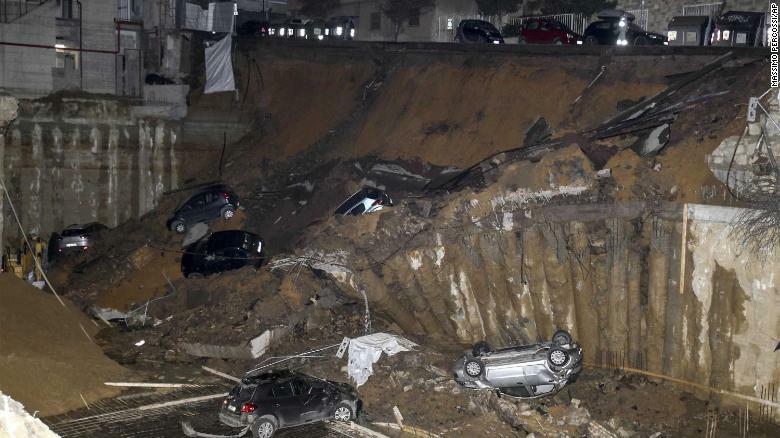 The sinkhole opened up near a building site. “The road had sunk for about 10 meters, dragging parked vehicles with it,” firefighters said in astatement. About 22 families were evacuated from the surrounding buildings. No injuries have been reported. As of Thursday morning, firefighters were still carrying out security and stability checks on the scene with help of technicians. The sinkhole appeared near a building site where construction workers are erecting residential buildings, according to public broadcaster RAI News. Workers remove cars that were sucked down into the sinkhole. Some of the residents said they had complained to authorities about cracks in the roads. One resident told RAI News she felt the floor of the house shaking in the past few days.